This guide contains Japanese themed bedroom ideas. 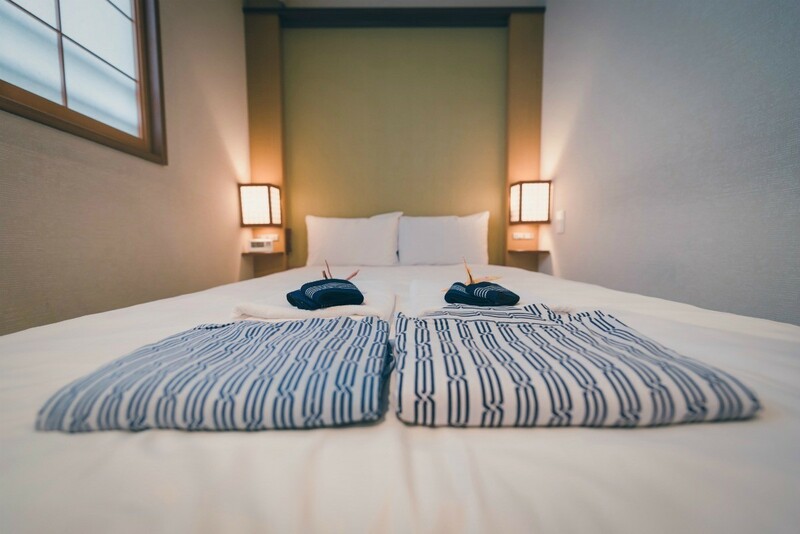 From color schemes to decoration ideas, you can find plenty of ideas to start decorating your Japanese themed bedroom here. I'm 13 and I want a Japanese style room but I have a small room. Red and blacks would darken my small room. How should I decorate my room? I did an Asian themed room for my daughter for Christmas. I, too, didn't want the dark red and black, so I found a pretty bed cover set (at Target) in blue satin with Japanese ladies printed on it in reds and pinks. We then painted a dark cerise colour 1/3 up the wall and added a wallpaper border of Japanese fans. I bought a parasol from a cheapie shop and hung it above the bed. Finally, we bought an open backed cube bookcase for all her toys and books and a bamboo blind for the window. She had pair of Japanese style pyjamas she had grown out of so they are hanging on the wall. Another idea is to photocopy a picture you like and frame it for art. If you want a more festive Japanese style room, you can look up how to fold cranes or other origami, and then string them. For an additional touch, you can add a small tassle on the end. Then you can hang these anywhere in your room. I was wondering how to decorate my room, Japanese themed. Any good decorating and furniture ideas? I'd like to keep it sweet and simple, but still have the Japanese touch that's creative. Any ideas? I'm 13 and want a Japanese style room! But I have the smallest budget in the world! I would like to know how to update my room. First, go online or to the library for books so you can have photos for visuals. If you go online, go to Google and type in "Japanese bedroom" or "Japanese-style bedroom", choose the images option and see what comes up. When I lived in Hawaii I would buy those really inexpensive Japanese hand fans and open them (and then secure them with the little piece you can use to hold them open or close them) and hang them up on the wall with just a nail to balance them. I also bought some flat badsheets with an oriental theme and made simple curtains out of them. All I really had to do was hem up one end with a spot to slip the curtian rod through.